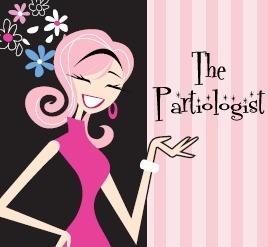 The Partiologist: Pencils & Paper Clips! I hope I'm not overloading you with the back to school party. 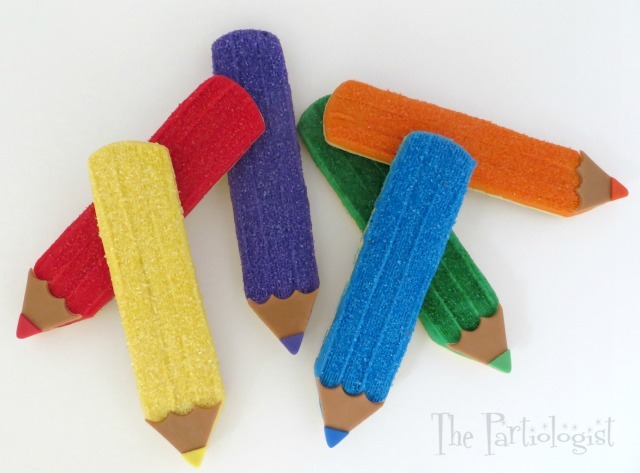 I thought about giving you time for Study Hall, however, it was only a thought because I think you might end up scribbling with these colored pencil cookies! I had to package them up so they wouldn't be gobbled up before the party. 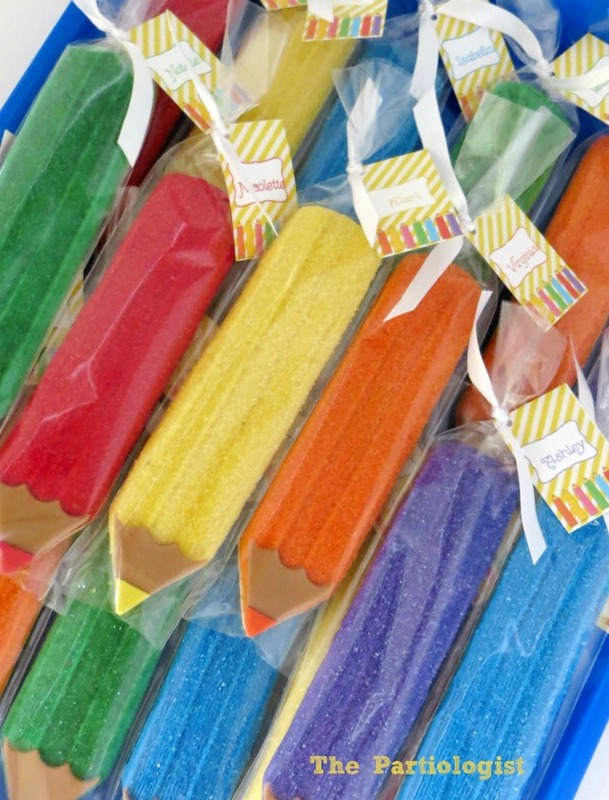 I made the colored pencils the same way I made these PENCILS. Only, less detail, more colors! 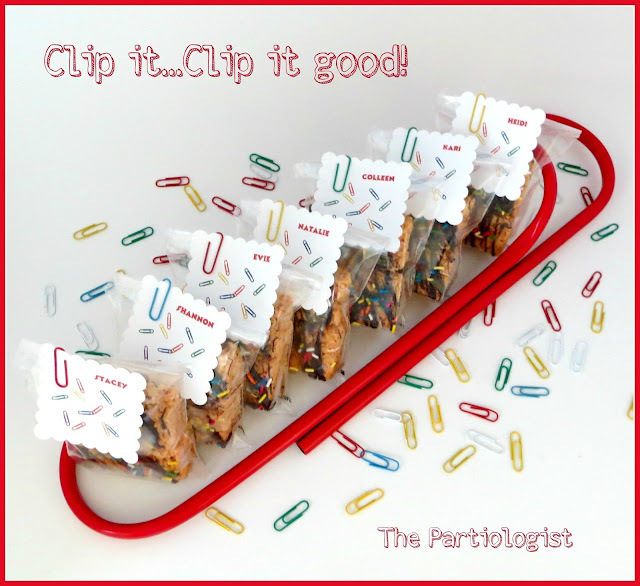 Paper Clip Rice Krispie Treats...It's all in the packaging! Rice Krispie Treats drizzled with chocolate and topped with sprinkles! 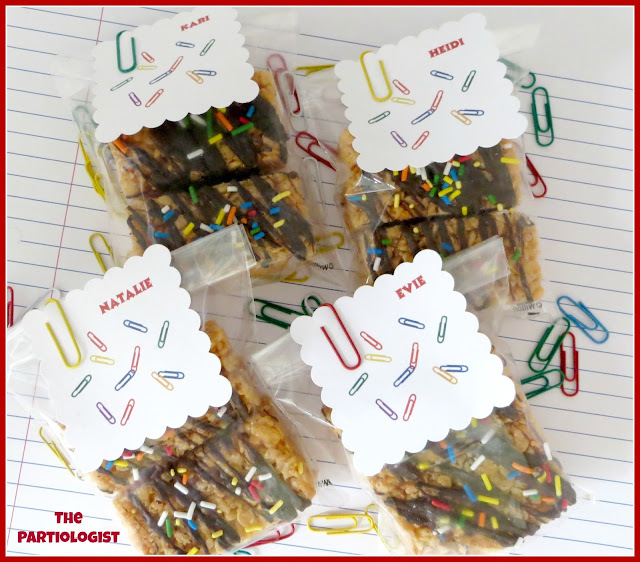 Now, if you're really just not into making anymore back to school treats, you can always buy some back to school treats! Just like a candy store, with smaller bins and everything from M & M's to Sixlets, Dots. On the other side were numbered drinks. And soon the bucket was filled with ice and the bottle with Orange Juice. I stuck the window clings to the sides of the glasses. Wondering where I found number window clings? On the clearance shelf at Michaels. 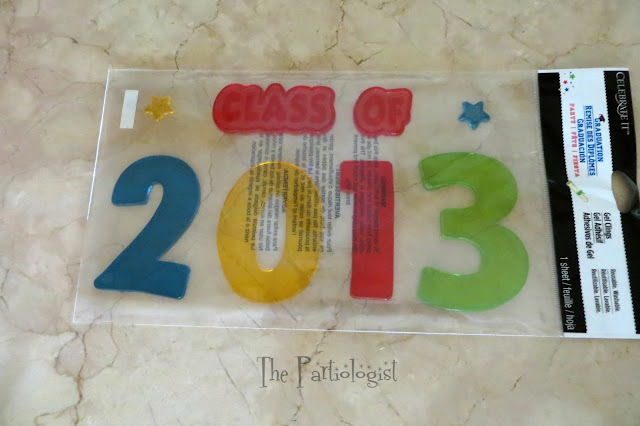 Do you see "Class of 2013"? I saw 0 1 2 3 - perfect for the party. Then I stuck the little stars on the juice bottle. I'll have to save the class for later. Okay, I know it's the weekend so I'm not going to give out any homework, I just want you to show up Monday morning with a smile because Monday is Art Class! AND I am going to let you choose what you want to work with...Crayons?? or Paint?? You tell me and that's what you'll see! Just when I think you have come up with the most creative back to school things, you come up with even more!!! You are amazing! So happy you're anxious to see more, because there is MORE!! Thanks! I'm not a good artist, so I vote for Art Class with the Crayons - I can scribble! Cheryl! P.S. Love all your ideas! Thanks for the vote Cheryl - so far, it looks like it just might be Crayons!! Nancy J here: Always LOVE your darling food ideas. You are SO creative. 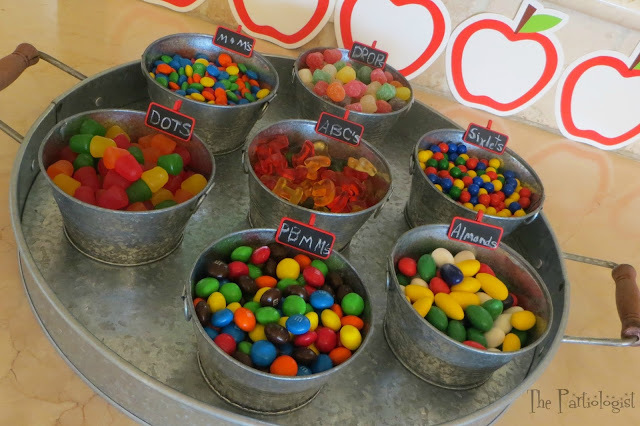 I know the Grands are going to love all these wondeful treats. I'll let them help make them! Thanks for another great post. You are so sweet - thank you for the wonderful comment! I'm so happy you're here! Ah Lisa, you would have to shrink yourself pretty small - not much room for you with all those rock rolling around in my head! Yup - you said it...clip it...clip it good! I love when I see a clearance item and can use it for something current! :) THANKS so much for the comment! I love the dimension on the pencil cookies! So awesome! They were easier to make than the regular pencils, so I was happy about that! Thanks! Cute packaging is the best, right?? Thanks! I love your attention to detail Kim, you really pour your heart into every single project you do. 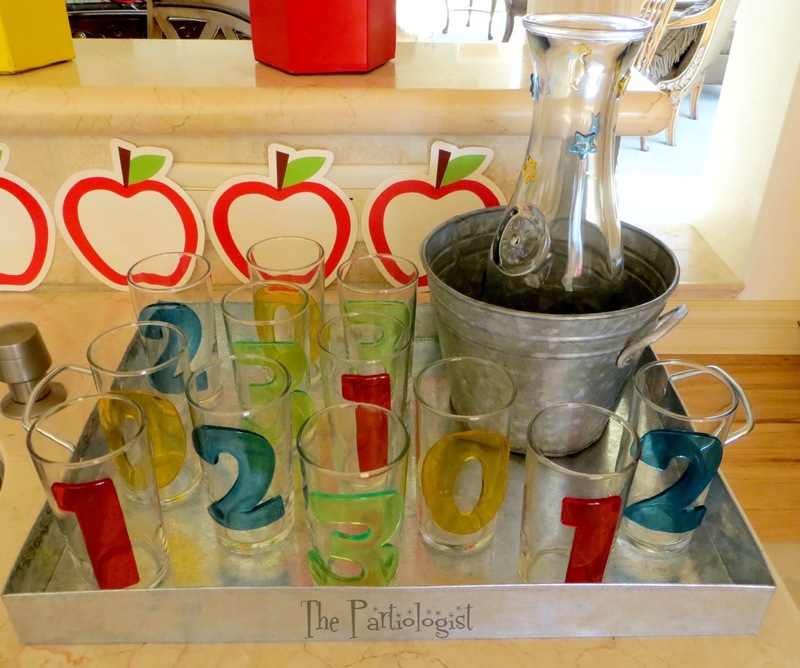 Love the idea with numbers! Thanks for noticing the detail - you know what they say...it's all in the detail!